Born in Brisbane, Australia in 1932, Robin Hill is considered a master artist and author, producing paintings spanning over five decades and sourcing inspiration from three continents. Hill spent seventeen years growing up in England, where his developing passion for nature and observation started. He began education at the Wimbledon School of Art, continuing to the National Gallery of Art School and lastly, the Royal Melbourne College. During his academic study in art, Hill went to live in the Australian bush for three years; an escape from the academic regime he disliked. Upon returning, he finished his degree in art and design to start his career as a painter and graphic artist. Robin Hill has produced a wide variety of artwork in a number of different mediums, including sketches, illustrations, paintings and gouache/watercolour works. 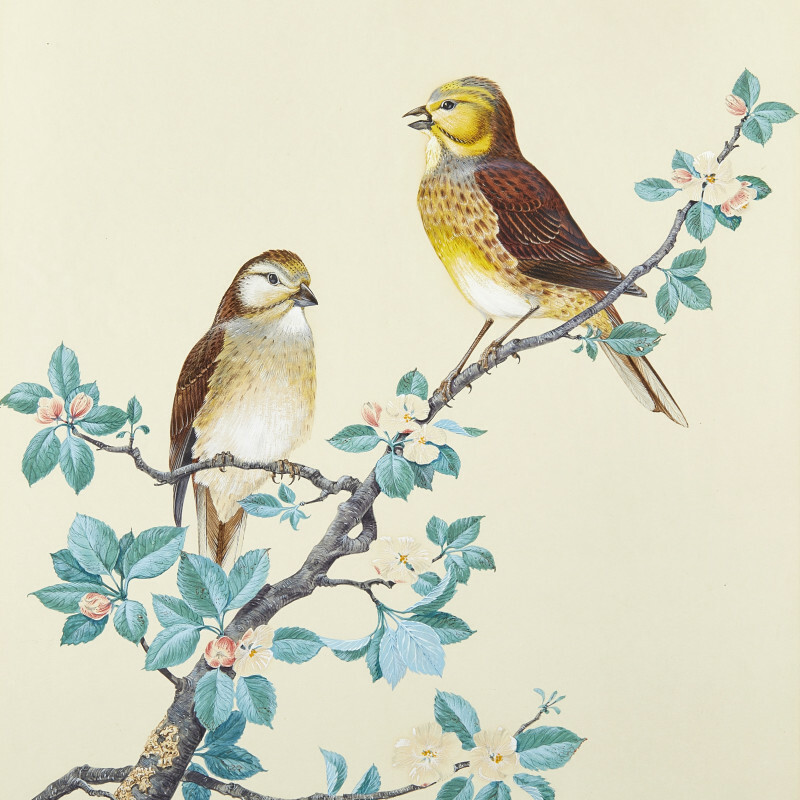 Hill was commissioned by Thomas Nelson Ltd. to paint illustrations for a vast volume on Australian Birds. 30,000 copies were sold in the first few weeks. His artistic career in the United States proved most beneficial to developing his artistic style. He was commissioned during the 1970s and 1980s to paint complete sets of American birds – these sets include The Marsh Birds and The Endangered Species; The Ducks, Geese and Swans. In the 1980s, his series The Upland Game Birds exhibited around the US, featuring as part of the Smithsonian Institute’s travelling exhibitions. Hill’s various entries into magazines and newspapers on nature and travel demonstrated his passion for the natural world. Hill still paints regularly, and 80% of his work is now commission based; dogs, farm animals, still-life works and other surrounding areas of natural beauty.